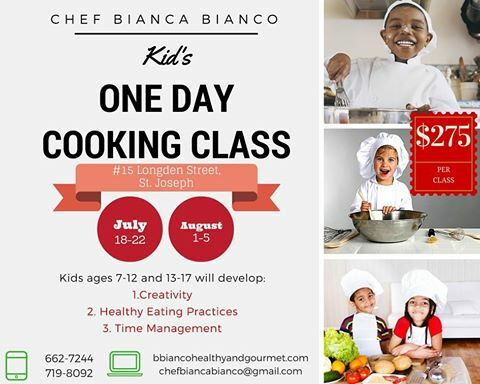 2016 KIDS ONE DAY COOKING CLASSES with CHEF BIANCA BIANCO (St. Joseph, Trinidad). Call (868) 662-7244 or 719-8092 or email chefbbianco@gmail.com for more information or to book. Ages 7-12 years and 13-17 years. $275 per class. Link to flyer and menu. 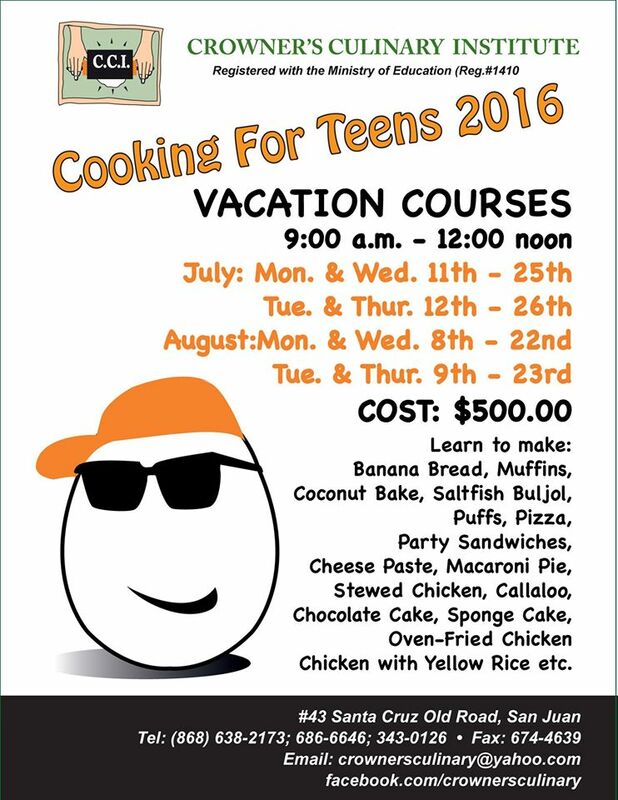 COOKING FOR TEENS VACATION COURSES 2016 – Crowner’s Culinary Institute (San Juan, Trinidad). Contact (868) 686-6646 or 638-2173 or 343-0126 or crownersculinary@yahoo.com for more details. Link to flyer. 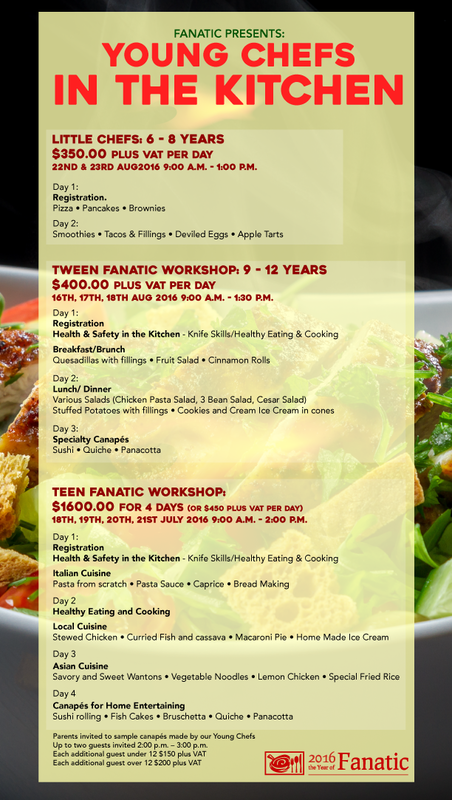 2016 KIDS IN THE KITCHEN CAMP at Fanatic Kitchen Studio (Port of Spain, Trinidad). 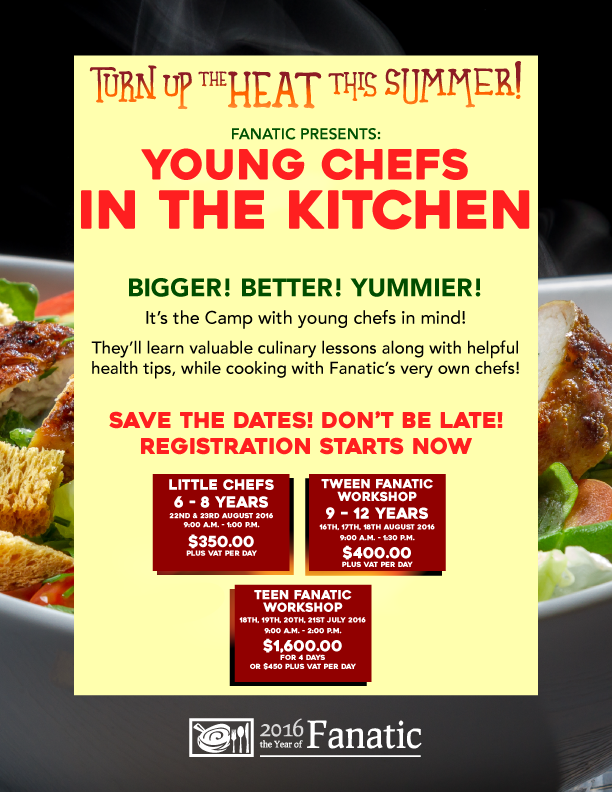 Contact sita@fantickitchenstudio.com or (868) 681-1423 for more information or to book. Link to flyer and flyer with menu. 2016 COOKING WITH CONFIDENCE FOR KIDS at the Trinidad & Tobago Hospitality Tourism Institute (Chaguaramas, Trinidad). Call (868) 634-4250 or email traindev@tthti.edu.tt. 2016 COOKING CAMP FOR KIDS with WENDY RAHAMUT SCHOOL OF COOKING (San Fernando, Trinidad). Call (868) 357-0927 or rahamut@gmail.com for more information or to book. Tags: Kids Cooking Camp Trinidad. Bookmark the permalink. any children’s classes in 2017? THE ACADEMY OF BAKING & PASTRY ARTS (Woodbrook, Trinidad; (868) 609-2253 / info@thebakingacademytt.com) has classes for kids yearround. Check the April 2017 calendar at https://thebakingacademytt.com/downloads/The%20Academy%20of%20Baking%20and%20Pastry%20Arts%20Workshop%20Calendar.pdf. General website URL is https://thebakingacademytt.com. Most classes for children are offered during the July & August holidays. 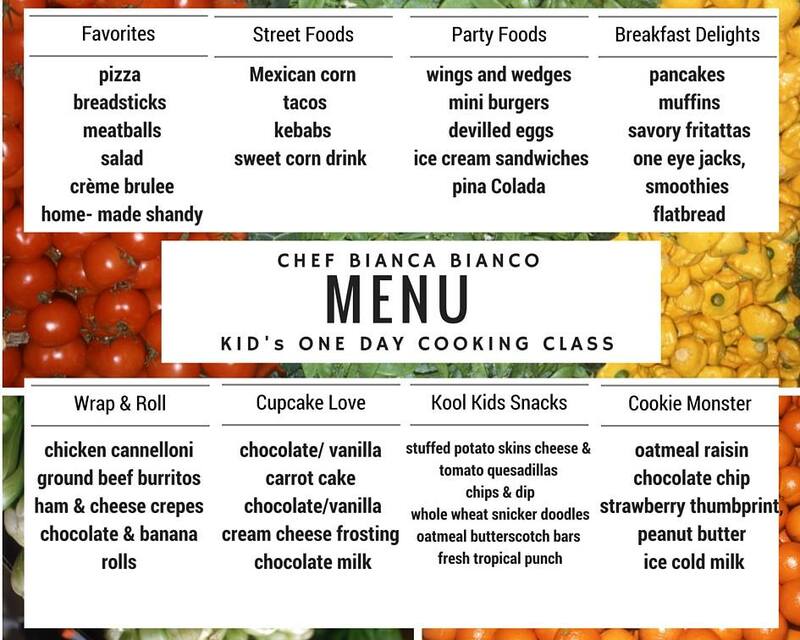 “Kids Can Cook” classes from the Nourishing Chef resume in May 2017 in Cascade. See the flyer here https://www.instagram.com/p/BTRGECcD59n/.